Yesterday I posted about our plans being interrupted and then I read the above verse. God promises us over and over in His Word that He will be there for us. 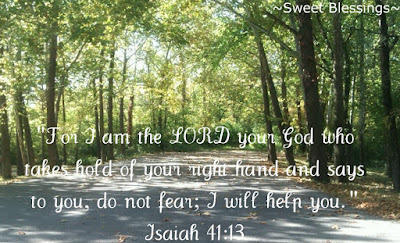 Right here in Isaiah, He says we have no need to fear because He will help us. 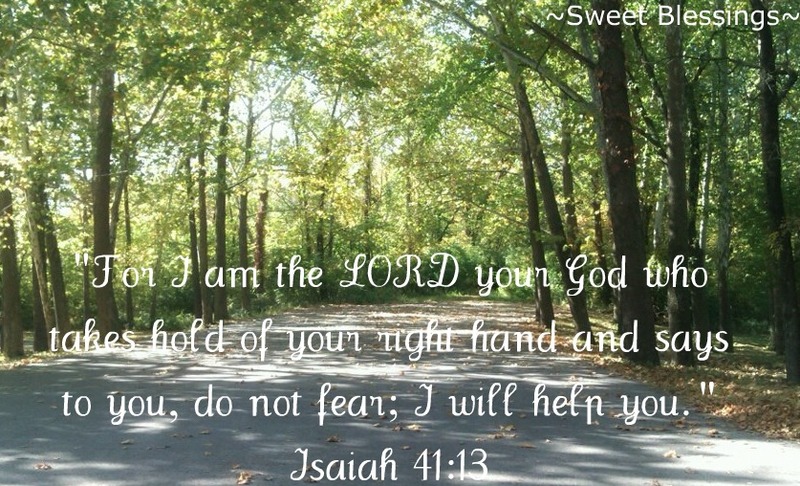 Whatever you are facing, reach out, grab His hand and let Him help you. Amen. I love holding His hand! Such a precious promise for us to hold on to! I don't know if anyone else has had trouble just reaching out cause we have been in this boat before so I dont know if the miracle I am needing has been asked the previous month and I need it to happen again but thats the fear of reaching out comes for me! Lord help me to reach outand not to have fear to ask again! Oh what a GREAT promise. something we often forget to do... reach out to Him in time of need. Thank you! Amen, He is my help!